Winter sure is making it tough to get outside and walk lately!!! We had 2 snowstorms this past week and it definitely doesn't make me very anxious to go outdoors. We're due for more snow this coming week, plus really cold temps, but I must make myself get to the gym at least 3 times - I need to get back to a regular routine and get some speed walks in this week! Audiobooks listened to this week: Dust to Dust by Tami Hoag narrated by David Colacci. One already has: Hadleigh Stevens, who married rancher Tripp Galloway a few months ago. Now Melody Nolan thinks it's her turn. Melody has recently found success as a jewelry designer, and her work is the focus of her life. She's not exactly unhappy, but she wants more. She's always been attracted to Spence Hogan, the local chief of police, but she's convinced that Spence, a notorious charmer, isn't what you'd call husband material. Spence is a good cop who isn't scared of anything—except love. And he's done everything he can to preserve his reputation as a womanizer—a reputation that keeps marriage-minded women, including Melody, at bay. And yet…there's something about Melody he can't forget. Something his heart can't ignore. 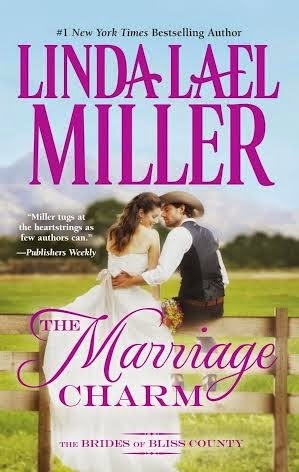 My thoughts: This is the second book in Linda Lael Miller's The Brides of Bliss County series and it was a great addition to the series. I'm really enjoying reading about these three women and how they are looking not only to get married, but to find the right guy. This time around it's Melody and Spence's story and I just loved these two as a couple. They have history between them, a history that involves Melody proposing to Spence many years ago. Ever since that, Melody has been weary about trusting Spence, so when they are forced to spend a lot of time together recently with the marriage of their best friends, that old spark comes to light again for both of them. I loved that in this story, it's Spence that does everything in his power to get what he wants - which is Melody. This was a nice change to the typical romances that I've read. Spence ultimately knows how he wants his HEA to be, he just needs to get Melody on board! During that journey, there are lots of laughs and sweet moments. The banter between Melody and Spence is often filled with humor! This story has a little bit of everything - a sweet romance, strong, relatable characters and even a mystery to be solved. Once again Melody needs to come up with a charm and I just loved what she decides to make. I am really looking forward to reading Bex's story - the final book in this trilogy! 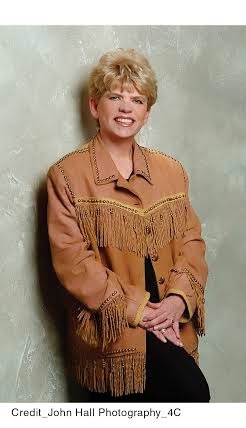 Linda Lael Miller took some time to answer the following questions about the new series and weddings...enjoy!!! Melody’s “marriage charms” (from the bet she made with her friends about getting married and not settling for anyone but the right one in THE MARRIAGE PACT) seem to be working perfectly! At one point in this book, Melody thinks about making a marriage charm for Junie. Is it the pact, or the charm—or both!—that are working their “spell” on the girls? I think it’s mainly the pact, the shared intention and the personal energy these friends have invested in their project. The charms, however, are VERY powerful, as most symbols are. Do you work with a specific ‘image’ in mind when creating your characters? Do you base them on people you’ve met or know, or are they more composites of real-life and your imagination? I often base my characters’ appearance on a famous person, but then they evolve and become themselves, in my mind and, hopefully, the reader’s, too. Have there been any books, romance or other genres, that have greatly influenced you as a writer? What are they? I have been influenced by SO many books over my life and career. Like most writers, I love to read, and I learn something from every writer I come across. I enjoy meaty historical novels especially—Dorothy Dunnett is a favorite of mine, and I loved all of Taylor Caldwell’s books, too. Every writer has her own routines and methods. How do you spend a typical writing day? After a personal quiet time, exercise and breakfast, I head for my office, Monday through Friday, and spend around 5 hours at my computer, actually putting words on the screen. That said, computer time is really only a part of the process, at least for me. I do a lot of thinking, walking, reading and daydreaming. It’s a difficult thing to quantify. Yep, THE MARRIAGE SEASON is Bex’s story. Bex wants very much to be a bride, like her friends, Melody and Hadleigh, but, marriage pact or none, she has her doubts, too. After all, she loved and tragically lost one Mr. Right—can there really be another man like him? All right, Tate Calder seems promising. But can she bring herself to risk another broken heart? Thanks to Katie at Little Bird Publicity, one reader can win a copy of The Marriage Charm by Linda Lael Miller. To enter the giveaway, please fill out the form by February 6th. This giveaway is open to US and Canada residents only and ends February 6th. 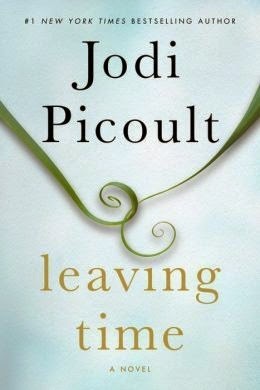 #1 bestselling author Jodi Picoult returns with her compulsive new novel - about the lengths we go to for those who have left us behind; about the staying power of love; and about how three broken souls might have just the right pieces to mend each other. Jenna Metcalf was with her mother the night she disappeared in tragic and mysterious circumstances, but she remembers nothing. Over ten years have passed, and still Jenna reads and rereads her mother's journals, hoping to find some clue hidden there, in the meticulous recording of her scientific research with elephants. Desperate for answers, Jenna uses all her savings to recruit the aid of a private detective - and a psychic. Jenna knows her mother loved her. She knows she would not leave her. And she will not rest until she finds out what happened that night. In her most gripping mystery since House Rules, Jodi Picoult brings us a powerful story of a young girl's determination to uncover the truth, however shocking and life-changing it might be. My thoughts: I have been a fan of Jodi Picoult's for a while now and have really come to enjoy her books and her writing style. This book, though, is unlike anything she has written before - and I think it's definitely her best book yet! This book just grabs you right from that first page and keeps you hooked all the way until the end - and what an ending! Wow...this is where I was left speechless - I definitely did not see that coming! Told from the perspectives of four characters, the story weaves back and forth in time, filling in the necessary blanks and allowing you to slowly put the pieces of the puzzle together. What did happen that fateful night? The emotions that run through this book are palpable and when you tie in all the research that we are presented about elephants and their grief process, it makes a big impact. Clearly, Jodi did an enormous amount of research while writing this and it shows. Not only did I feel invested in the characters' lives, but also that of the elephants. This book is chock full of surprises. There's a mystery begging to be solved; journal entries that, in my opinion, couldn't be read fast enough, filled with so many interesting facts about elephants; memorable characters and a love so strong it supersedes all else. I couldn't turn the pages fast enough to find out what would happen, and just when I thought I had figured it all out, I was blown away by what I read next! What a great, great story and one that I will definitely be rereading. I might even try the audio version next time around, as I hear the production is amazing! The third and final story in a thrilling e-novella about a psychic medium, from award-winning and New York Times bestselling author Lisa Unger. When Eloise's granddaughter, twenty-year-old Finley, comes to live with her, Eloise's abilities start to change--things seem to be getting easier. Her load is lighter, and rather than chasing down people she needs, they are coming to her. She teams up with detective Jones Cooper to help a desperate father bring his daughter's killer to justice. Meanwhile, Finley, who is developing gifts of her own, has bigger problems than she's willing to admit. Will Eloise help Finley and others see the difference between justice and revenge, or will things spiral out of control first? 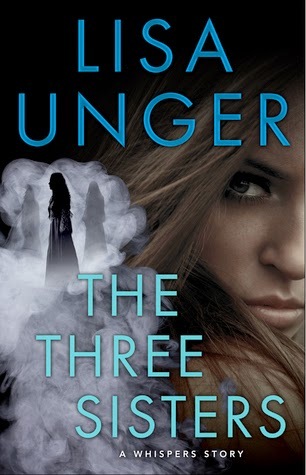 Returning to the psychological suspense that earned Lisa Unger such critical acclaim for Beautiful Lies and In the Blood, The Three Sisters is the third and final part in a gripping series from "an accomplished pro"
My thoughts: This is the third novella in Lisa Unger's The Whispers Trilogy and I really enjoyed all three stories. Giving us the back story to one of her more beloved and important characters in a few of her books, really sheds new light on not only the character of Eloise Montgomery herself, but also the overall storylines, too. Of course, reading this trilogy makes me want to go back and read all the books that Eloise appears in! In this latest installment, we find that Eloise's granddaughter Finley has come to live with her. She is still coming to terms with her gift. 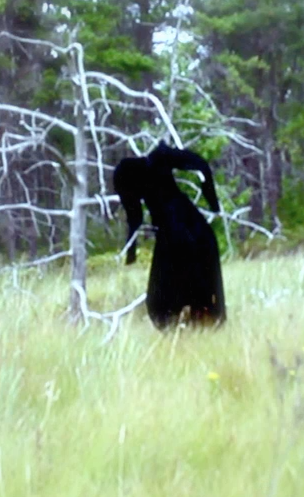 Ever since finding out about the gift, she's been haunted by The Three Sisters - who we come to find out have a connection to the town. I found the history of these sisters to be quite interesting. As only Lisa Unger can, she weaves a tale that leaves you begging for more. Combining the case of an actual missing girl with that of The Three Sisters and the stomping woman in Eloise's house, and the police detective working with the psychic - it all combines beautifully without going too far over the top. The characters are richly drawn and you can't help feel invested in them all. Lisa Unger is one of my favorite authors and I have yet to read something of hers that has disappointed me. This is one trilogy that begs to be read, but one that should definitely be read in order as the character development really builds off the previous ones. Now, I'm all set to read her upcoming release - Crazy Love You which brings us back to the Hollows. Will Eloise be making an appearance? I sure hope so!!! Unbecoming is an intricately plotted and psychologically nuanced heist novel that turns on suspense and slippery identity. With echoes of Alfred Hitchcock and Patricia Highsmith, Rebecca Scherm’s mesmerizing debut is sure to entrance fans of Gillian Flynn, Marisha Pessl, and Donna Tartt. My thoughts: This is Rebecca Scherm's debut novel and I was quite intrigued by the description of it when I was approached to read and review it. I love reading psychological suspense tales and this definitely fits into that category. What I loved most about this book is the slow build of suspense that this book takes. The book moves back and forth in time with Grace telling her story. While Grace is the narrator of the entire book, at times, she is "Julie" and at times she is Grace. As it moved back and forth, I was quite eager to find out exactly why Grace needed to become "Julie" and it became frustrating that it took so long to get there. This is definitely a complex story. There is a lot going on and many layers that need to be peeled back to fully appreciate the full picture. Grace is a compelling character and is what kept me hooked to this story. She's not a likeable character by any means and does some pretty despicable things throughout the book, but she gets under your skin and you just have to keep reading to see what she's going to do next. There's the whole first love issue, the love-hate relationship between her and her mother and the strangely close relationship she has with her boyfriend's mother. And then there's the whole heist in her hometown that she had a part in, but what part that is unclear at first. I found myself glued to the pages of this book, wanting to know what would happen, afraid for Grace and yet filled with anxiety about what Grace would do next. To me, that's good psychological suspense right there...I just didn't know what to expect and it definitely kept me on my toes. I will definitely be keeping my eyes out for what comes next from Rebecca Scherm as this debut novel was a hit with me! 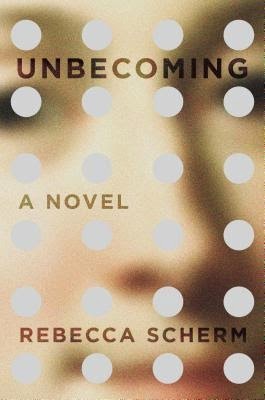 Thanks to Annie at Viking/Penguin Publicity, one reader can win a copy of Unbecoming by Rebecca Scherm. To enter the giveaway, please fill out the form by February 2nd. The Sunday Post is a weekly meme hosted @ Caffeinated Book Reviewer. It’s a chance to share news. A post to recap the past week, showcase books and things we have received and share news about what is coming up on our blog for the week ahead. I'm also going to link this up with Sheila's It's Monday post over at Book Journey. Well, winter has finally made it's appearance around here (I live just north of NYC) - yes, we've had cold temps, but now we finally have the snow to go along it. We got just over 6 inches of snow with yesterday's snow storm and are due to get another 10-15 Monday into Tuesday with possible blizzard conditions. Of course, this doesn't bode well for my 1/2 marathon training that is slowing creeping up - 6 weeks to go and I'm only now getting serious about my training! I finally get some new kicks and have been breaking them in this weekend, just walking around the house. With all this snow coming and below freezing temps that will be following it, I'm foreseeing lots of mall walking in my future for those distance walks!!! So, while the week didn't start off too great, it sure did end great. 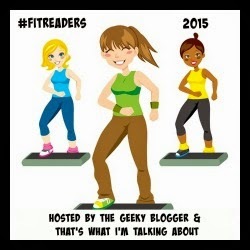 I realized that I have only 7 weeks until my 1/2 marathon...EEK!!! Yes, I've been walking all along, but I haven't really done any distance walks and I desperately needed to get a new pairs of kicks! I did my first training walk - just over 5 miles, but using my old sneakers and boy could I feel it in my knees! But, I didn't want to push it, not having done any significant distances in a while. I have to say - I felt pretty good! Now if I can just keep up this momentum...I'm getting really excited for the race!!! On assignment to interview the oldest people on the planet, historian Garth Hellyer meets Marged Brice, a spirited woman who claims to be 134 years old. Upon their first meeting, Marged insists that she is ready to die, but the mysterious Perdita is keeping her alive. She entrusts Garth with her diary, which connects him to the early 1900s and to Perdita, a supernatural presence who gives the gift of love. My thoughts: As soon as I read the description of this book, I knew I wanted to read it. I was quite intrigued by the premise of it and it surely lived up to it's expectations. From the first page I was hooked and was engrossed all the way through. I loved the use of journals to transport us back to the early 1900s to tell Marged's life. It nicely juxtaposes the present day story of Garth meeting Marged at the supposed age of 134. Having these two stories being told at the same time, I found myself wanting to know more of each when it would switch to the other, but I have to be honest and say I was a bit more invested with the present-day story - that of Garth. I was particularly interested in what was going to happen with him and Claire and wanted more of their story! I did find the inclusion of the Greek mythology to be quite interesting. It's been a long time since I've studied mythology, so I'm a bit rusty on it all, but nevertheless, it's still fun to read about it. If I had the time, I'd love to go back and study up on it all and will certainly add it to my bucket list of things to get to one of these days. Canadian geography is not something I am overly familiar with, despite having family living there. I've only been to Canada once, to Nova Scotia, but I did enjoy the beautiful, descriptive writing and would love to visit the Georgian Bay coast, just to see where this story takes place. This is the type of book that I think I might have to reread to fully appreciate every nuance of the book. While I did enjoy it, I felt that I might have missed a thing or two. Perhaps after brushing up on my Greek mythology, I'll pick this up again, and have a better appreciation of exactly who and what Perdita is. Have you ever read a book where you felt that a reread will give you a better sense of the overall feel for the book? ***Be sure to check out the guest post by Hilary Scharper that I posted the other day, along with an excerpt and a chance to win 1 of 3 signed copies of Perdita! The link can be found here. Marged Brice is 134 years old. She’d be ready to go, if it weren’t for Perdita . . .
Why did you pick a lighthouse for the setting of your novel? There is something almost "magical" about lighthouses. One of my favorite writers, Robert Louis Stevenson (1850-1894) - author of Dr. Jekyll and Mr. Hyde, Treasure Island, The Body Snatchers - used scenes from lighthouses for his wonderful stories. Lighthouses are a symbol of not only welcome, but also a “civilized” society. They tell mariners through weather fair and foul that they are not alone—that people are close by, thinking of them and helping guide them to safety. The oldest lighthouse was the one built at Alexandria, a great fire built atop a large tower at the mouth of the Nile, guiding ancient mariners to their destinations. So lighthouses have something both wild and domestic about them. They pierce the darkness and shine across stormy waters, but they are also places of home: both home in the sense of coming safely into port, as well as places where lighthouse-keepers and their families settled in amidst the tempest-tossed world around them. When I first went to the Cabot Head lighthouse, I imagined what it was like when the first light-keepers of the late 18oos had to snake their way through a dark forest to get to the light station. 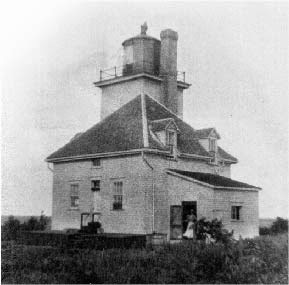 The story of “Perdita” began to come to me as I reflected on this journey; and the characters took shape around the history of lighthouse-keepers, shipwrecks, the triumphs and setbacks experienced on this wild promontory overlooking Georgian Bay. The Eco-Gothic blends the mysterious, atmospheric and unpredictable genre the gothic assumes in such novels as Wuthering Heights, Jane Eyre and Rebecca, but adds something different. It adds nature as a character, not simply as backdrop or setting. As readers can see in “Perdita,” Marged has a “real” relationship with the trees and the Bay. For her, they are not simply features of a landscape; rather, they are mysterious, mercurial presences, both befriending and bewitching Marged as she searches for love and truth at her lighthouse. 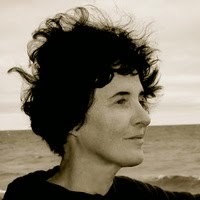 About the Author: Hilary Scharper, who lives in Toronto, spent a decade as a lighthouse keeper on the Bruce Peninsula with her husband. She also is the author of a story collection, Dream Dresses, and God and Caesar at the Rio Grande (University of Minnesota Press) which won the Choice Outstanding Academic Book Award. She received her Ph.D. from Yale and is currently Associate Professor of Cultural Anthropology at the University of Toronto. Seven hours passed, and the waves were—Mr. Thompson said they were fifteen feet or more in front of the Lodge. The rain had not ceased, but the sky had turned an evil gray, and we heard thunder far off in the distance…. “The storm is moving fast,” said Mr. Thompson, and he shook his head glumly. I began to pray fervently. It was but three o’clock in the afternoon, but the entire sky had turned a livid gray, and it seemed as if night had dropped upon us like a curtain falling. Now we could see lightning blaze across the horizon…. The rain came down in sheets, and the waves took on an even more ominous and angry aspect. My heart sank as I thought of the boats in that water. Then—“There,” shouted Mr. Thompson, gesturing toward the eastern skyline. And appearing suddenly from around the Point, we could see the outline of a large boat. Its foremast was rolling horribly—up and down, back and forth—and we could see, as it neared, that the first jib sheet was ripped to pieces. The mainsail was shredding rapidly in the wind, and the waves were pushing it toward the shore, where it would surely be smashed into pieces against the rocks. We saw the men lowering the lifeboats and then push off, desperately making for shore. “Allan,” I cried. He had run out into the storm without warning toward the boats, and I leaped out after him. 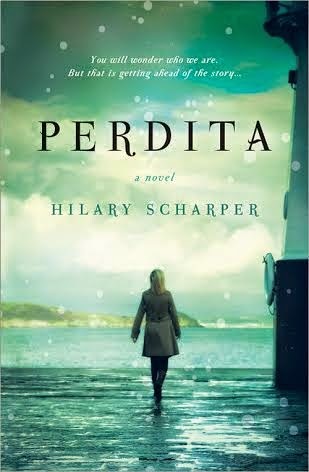 3 signed copies of Perdita by Hilary Scharper (open December 15, 2014 – February 7, 2015) - US only. 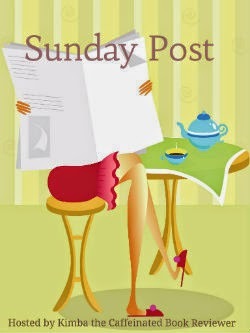 The Sunday Post #55 (1.11.15) - a day late!